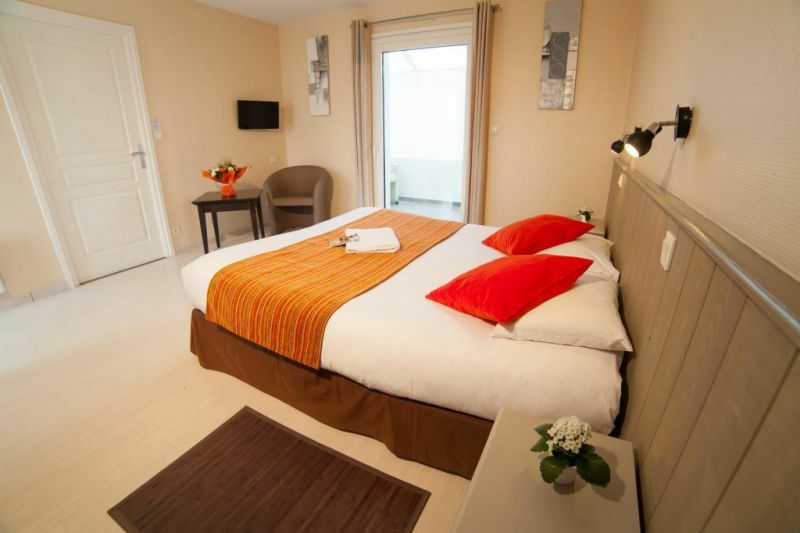 The Brit Hotel Aux Hortensias offers you 19 spacious and comfortable rooms. We have 6 rooms with a kitchenette and a separate lounge and 9 have a balcony. Our hotel also has a room for disabled guests. At the Brit Hotel Aux Hortensias , we strive to make you feel at home! Private bathroom, flat screen TV with Canal + and Being SPORTS and an internet connection Wi-Fi and free throughout the hotel. This offer is not cancellable or refundable.
. Gouffre de Plougrescant, 20 km. Take Paris-Rennes motorway (A11), then Rennes-Brest expressway (RN12). Take Lannion exit towards Perros Guirec.